Planning a new look? Don’t miss the big ideas and interiors trends that will shape our homes this year. While 2015 saw us fall in love with herringbone, moody blues and geometric prints, our ongoing love of metallics was as strong as ever, and it’s an interior trend that will stay with us in 2016, especially warmer tones such as copper, antique brass and rose gold. You’ll see glints everywhere from lampshades to tabletop accessories, from the high street to high end – Nina Campbell does soft metallic on wallpapers so well. In the bathroom and kitchen, look for taps and drawer pulls with a burnished finish. The pastel shades in last autumn’s collections are more prominent than ever with soft pink being favourite of the moment – think faded roses, drying plaster and calamine lotion. Far from girly pink, it’s an elegant nod to Art Deco and works brilliantly with bold mustard, teal, dark inky blues and forest greens. Golden yellow is also topping the charts and Dulux named Cherished Gold its colour for 2016. Try it with grey and inky blue. And it seems we’re finally overcoming our fear of the dark where our walls are concerned. Dark colours can balance out light pollution, ensuring sound sleep in a calm bedroom and turning living spaces into sophisticated retreats. Far from doom and gloom, dark walls let you create great contrast with bright furniture and accessories – try Swoon Editions for bright statement chairs and watch out for the bold exotic prints that promise to be big this year. The dark stars of paint include Farrow & Ball’s Hague Blue and Studio Green, and Little Greene’s Hicks Blue and Marine Blue. Love it or loathe it, gloss is on its way back too, with designers using it with good lighting to bring rich depth to a scheme. 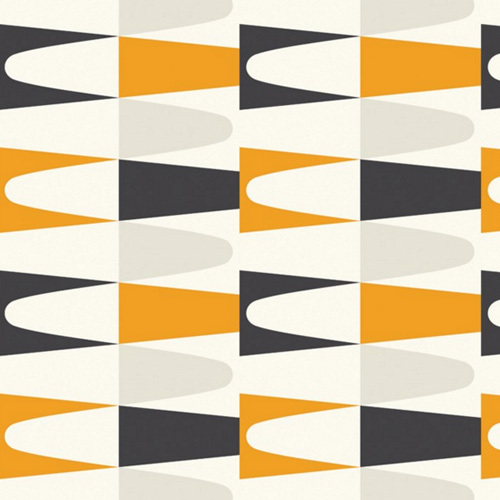 Geometric designs-such as Carnival Zest from Graham & Brown below-are still big news in wallpaper, fabrics, tiles, lighting and art prints, and there’s a lot of fun to be had playing with shapes and scale. With a more organic feel, stitch is fast emerging as a trend through over-sized knits for furniture, textured crochets, and traditional embroidery – needlepoint was hot on the catwalk in Autumn 14 and is now bringing granny chic to our homes on fabrics and accessories. There’s no escaping the continual pull towards natural and organic materials such as stone, salvaged timber and unglazed ceramics too, all seen as a calming antidote to our high-tech lives and too much screen time. This is a year when you can afford to be more eclectic. Layering textures is a surefire way to bring personality to a room, plus some welcoming warmth through winter. We’re also seeing fabric used on the walls instead of wallpaper – hang a decorative throw or rug for an easy hack. For fabric Wallpapers look to Phillip Jeffries for inspiration. There’s a marked step away from the predictable and bland too, with mismatched furniture, a mix of old and new, and found treasures on display. In the dining area, try unmatched chairs to shake up the space, adding shape, texture and colour. That sense of personality is also taking hold in the kitchen and there’s a vast choice of colours and finishes these days along with some really interesting materials. Grey remains the favourite neutral for both painted classic and modern kitchens, with shades ranging from off-white to the darkest graphite. 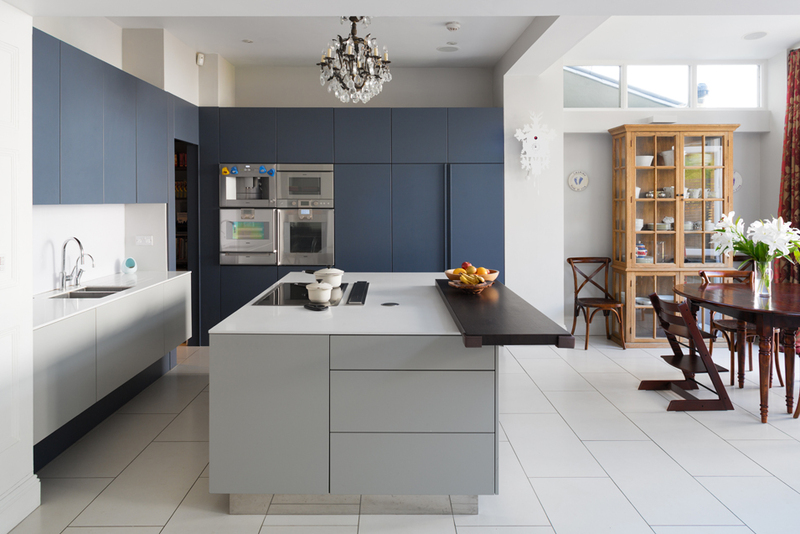 Modern kitchens are designed to sit demurely in the background so you will see banks of tall units, handleless doors, and dark colours in a matt finish, teamed with semi-industrial finishes such as concrete or porcelain worktops and brushed stainless steel. The classic kitchen is channelling ‘old dairy chic’ with a dresser, marble countertops and metro tiles, preferably with dark grout. 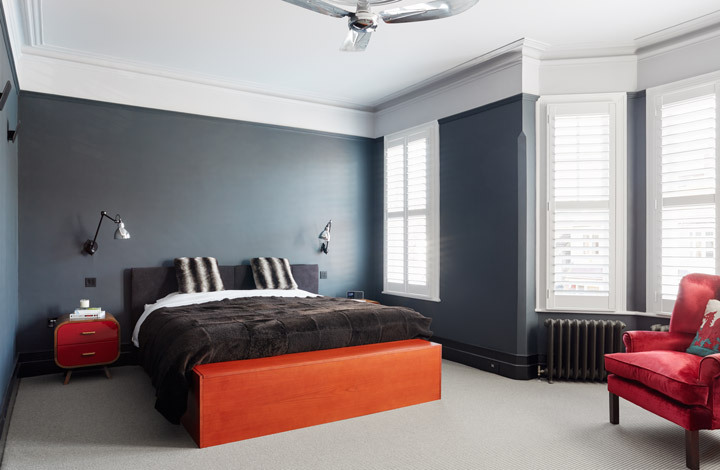 Whether classic or modern, uniform colour is out and using two to three colours or finishes to break up the space is the only way to go. Look for clever storage solutions such as whole work stations that disappear behind pocket doors, as well as a drawer for everything. 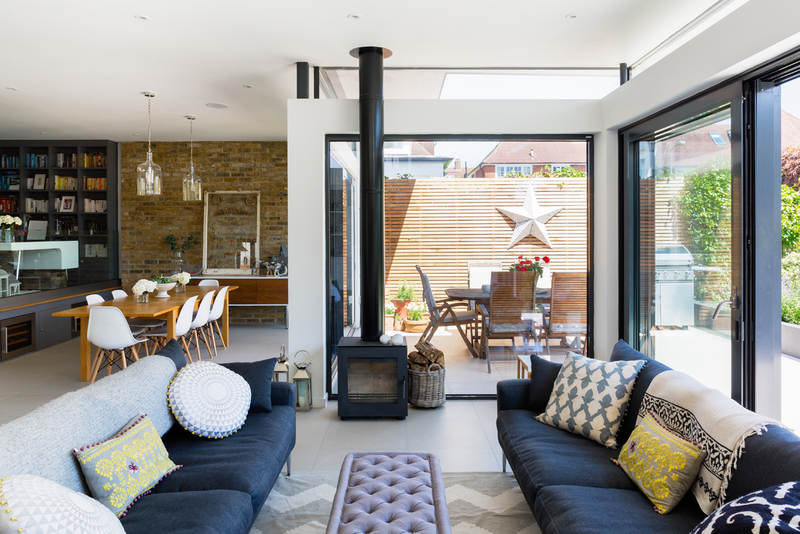 Seek out touches of treasure – luxe materials such as copper for splashbacks, polished concrete for cupboard doors, parquet for floors, salvaged one-offs and details such as leather handles – it’s all about putting the personality into this hard-working space. 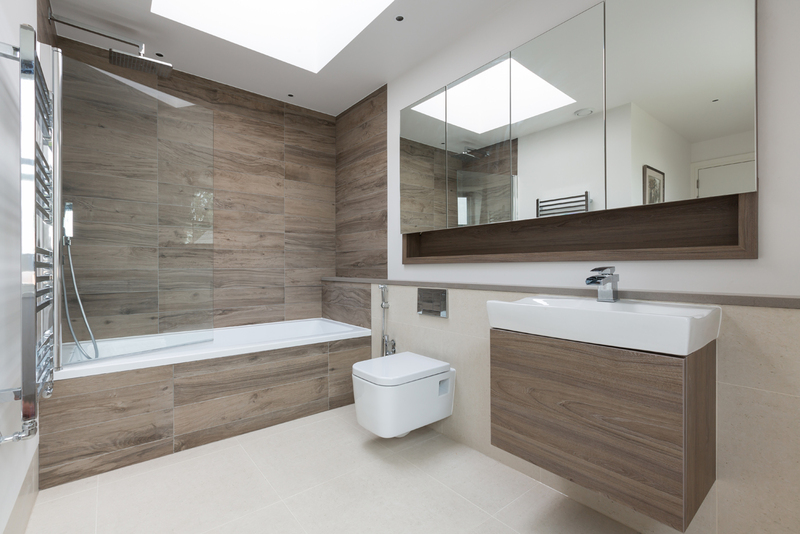 Bathroom decor is also hankering after that living space feel this year with proper storage, super-efficient fittings and concealed speakers – indulge, too, in the luxury of extra space if you can find it. The look is tranquil and grown-up with vintage bathtubs, statement tiles – look for geometric shapes and gloss finishes – plus plenty of mirror. Statement wall lights with a vintage feel over the basin will give a bespoke personal feel too. Squeeze in some extra storage with a shallow cabinet behind the over-basin mirror to keep everything neatly hidden from view yet still close to hand. And be kind to your reflection by investing in a flattering lighting scheme. Use light, also, to create mood and to highlight key features and surfaces such as textured stone. For on-trend bronze, brass and rose gold taps and fittings, try Samuel Heath for classic styles and Vola for a great selection of decadent finishes for modern bathrooms. Make 2016 the year to create a proper lighting scheme – it will revolutionise your home. 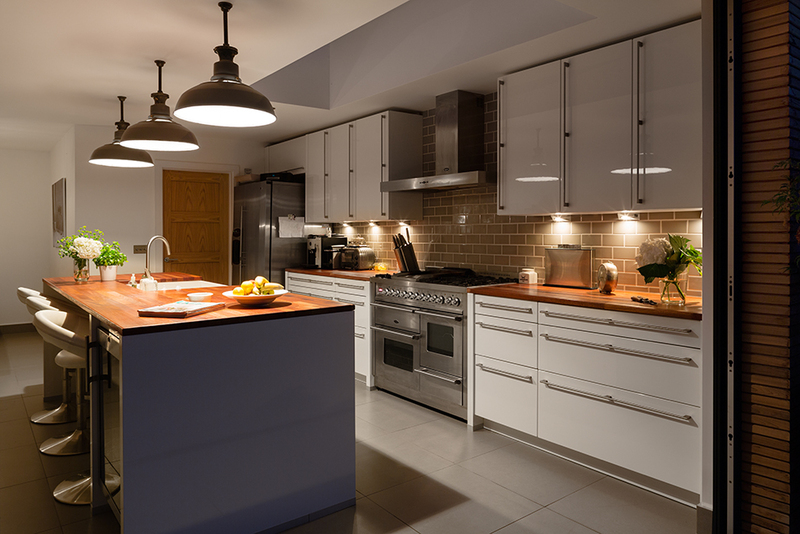 LEDs have radically changed what’s possible from subtle strips of light that make kitchen units appear to float to tiny lamps that illuminate dark expanses of glass at night. A good scheme will include layers of light, using uplighters to wash soft brightness across walls and ceilings and hidden LEDs to create focal points around shelving and recesses. Attractive pendant lights over tables and counters complete the mood, and this type of lighting has even crept into the bedroom, putting light over bedside tables and letting us do away with cumbersome lamps and cables. Hard-wearing flooring that can flow throughout the whole floor of a house continues to be popular – engineered wood and large-format porcelain tiles are favourites for open-living and we are still in love with herringbone too. For industrial chic, poured resin looks set to take over from concrete as it’s more hard-wearing and less likely to crack. Dress hard floors with bold rugs, picking up on this season’s colour and pattern trends. 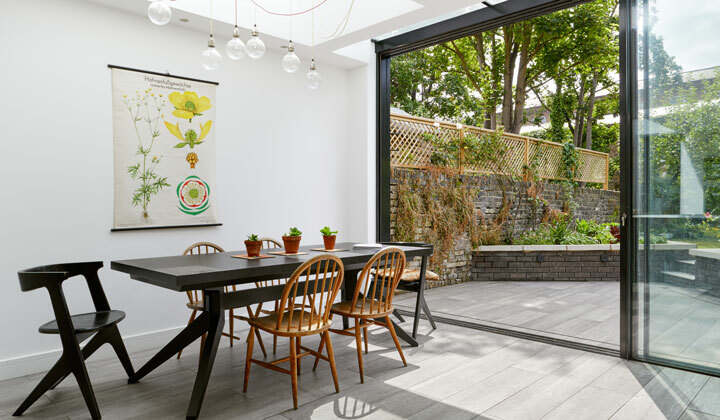 If you’d like help creating a dream scheme, talk to Granit’s experienced interior design team – this is the year to make your home everything you want it to be.